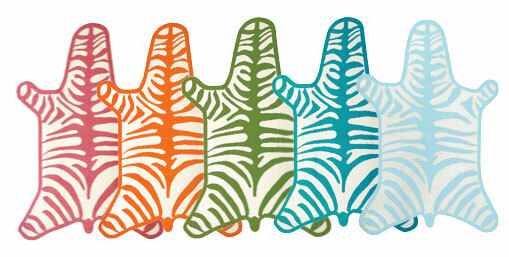 Many readers really like the Jonathan Adler Zebra Rug we used in a toddler room design for a client (above). The only size available is a 5 x 7 and the price is $995. Most of the stores carry them in stock so if you have a store in your area, you can see them in person. 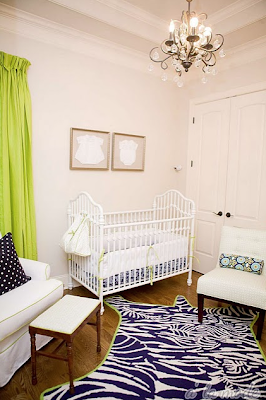 Note that the white is more of a cream than a white, but they look great in children's and adult rooms and come in an array of colors. For a similar playful look for 1/2 the price. 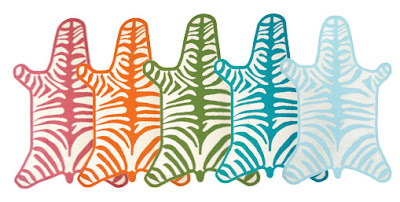 Lilly Pulitzer has a zebra Catching Z's design of her own. 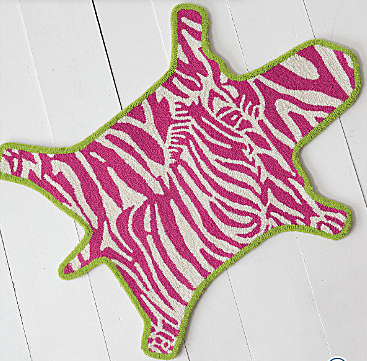 This one is available in pink & green and navy & green combinations. Two size options available 3' x 3'10 and 6'4 x 8', on sale for $99- $398 respectively.